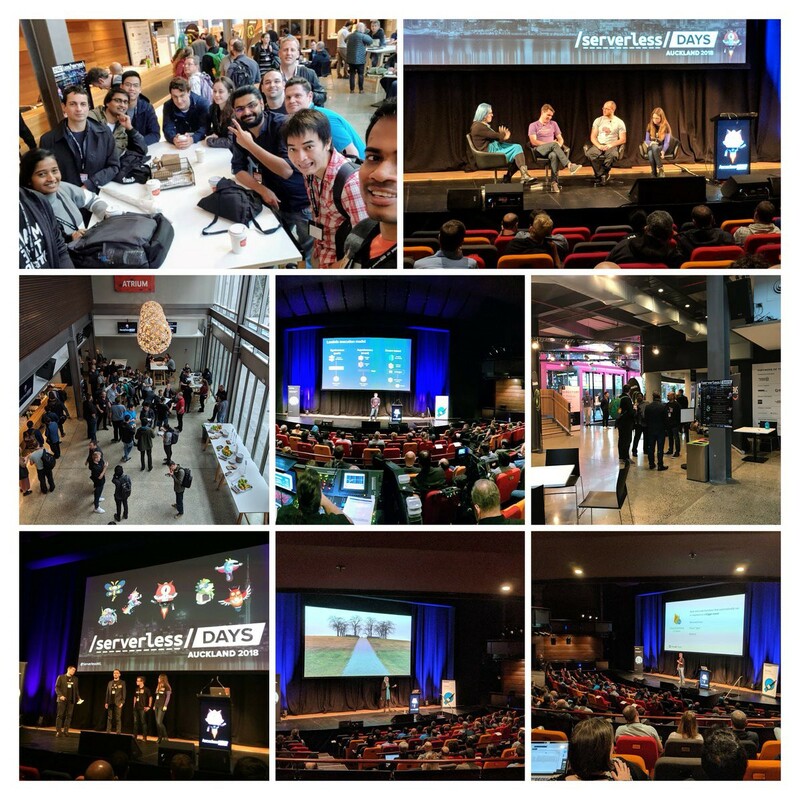 ServerlessDays is the evolution of JeffConf — a successful event series that started in July 2017 in London and continued in Milan and Hamburg. It is a one day, community-focused, single track event centered on real-world Serverless based solutions. It is about fostering a community and helping all of us learn from each other as we embrace a new way of building applications. The team has organized a speaker dinner before the conference. This is the best part I like because this is a chance for us to get together as a group for any last minute questions and updates. Obviously, we had some crazy topics over dinner and more fun. 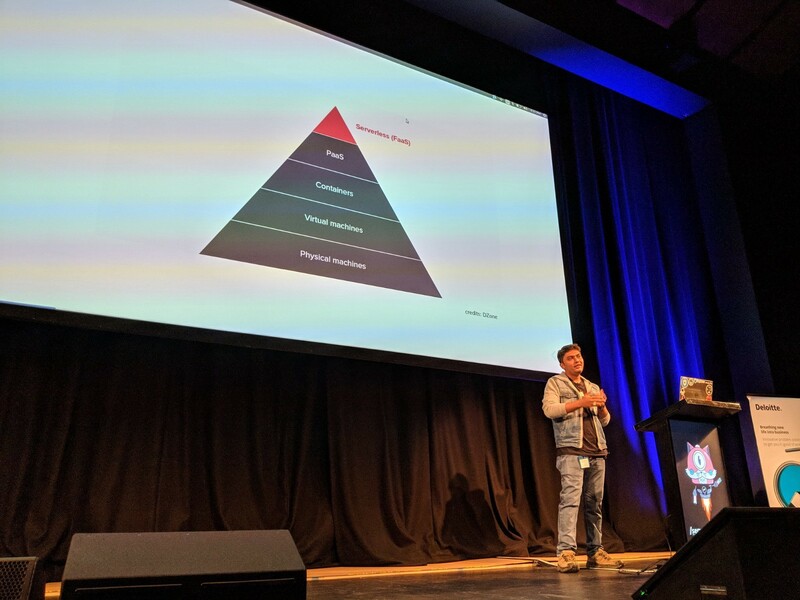 Security is a big concern so I have given a talk about one next major shift in cloud computing is commonly known as “Serverless” or “Functions-as-a-Service” (FaaS). 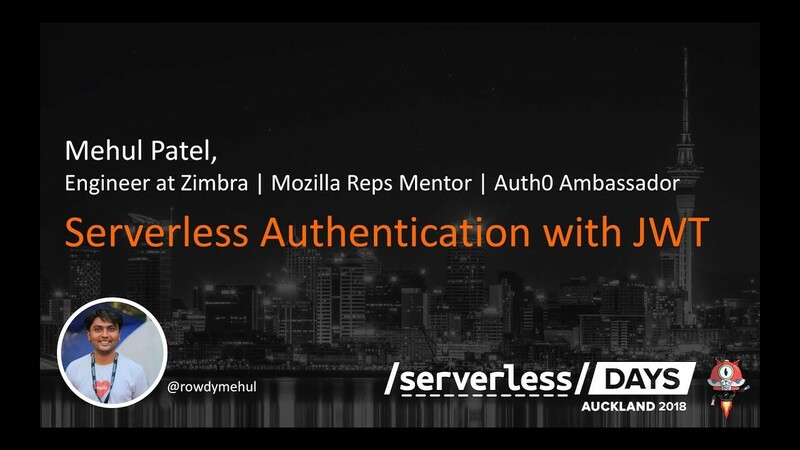 Serverless is the next step in the journey from physical hosting to software in the cloud. The most common definition is that it allows you to set up a piece of code to be executed as a reaction to an event. Here the term “serverless” doesn’t mean that the servers are no longer included. It simply means that developers no longer have to think “that much” about the servers anymore. First, I gave a bit of background that Authentication and Authorization are two different processes. To show how and why JWT are actually used, we will use a simple 3 entity example (see the below diagram). The entities in this example are the user, the application server, and the authentication server. The authentication server will provide the JWT to the user. With the JWT, the user can then safely communicate with the application. In this example, the user first signs into the authentication server using the authentication server’s login system (e.g. username and password, Facebook login, Google login, etc). The authentication server then creates the JWT and sends it to the user. When the user makes API calls to the application, the user passes the JWT along with the API call. In this setup, the application server would be configured to verify that the incoming JWT are created by the authentication server (the verification process will be explained in more detail later). 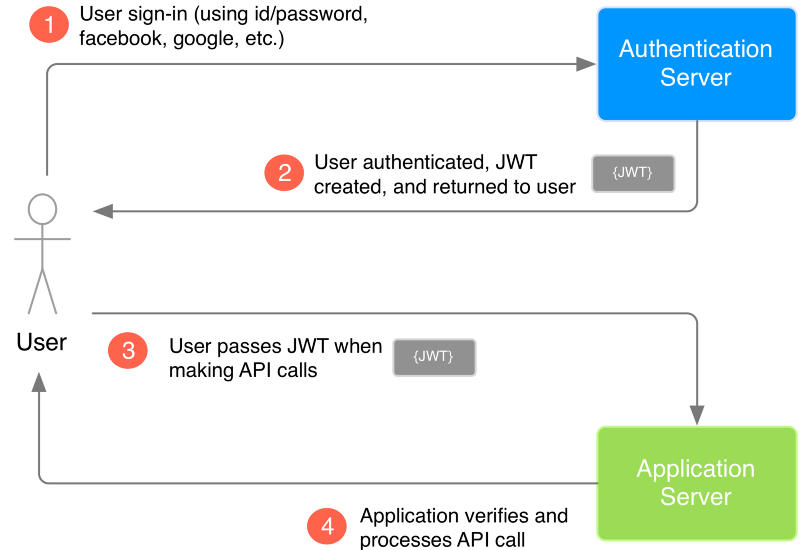 So, when the user makes API calls with the attached JWT, the application can use the JWT to verify that the API call is coming from an authenticated user. Kudos to all team members who organizing such an amazing conference.